Zuuk is about tradition, about what started the day when we were young, about what brought the family to the table. Roger and Sam come from similar background, where good and tough times were cherished and solved in the dining room; where our grandparents used to set the tone with wonderful food and bring smiles throughout the night. We thought that people needed to have those moments more often, and while time passes by very quickly and we start deviating from what was good, from the “good old times”. As friends and family that we are; we wanted to share our “good old times” in the dining room with you. Zuuk honors who we are, our traditions, the simplicity that we were brought up with, and the amazing food that was made in our homes everyday. 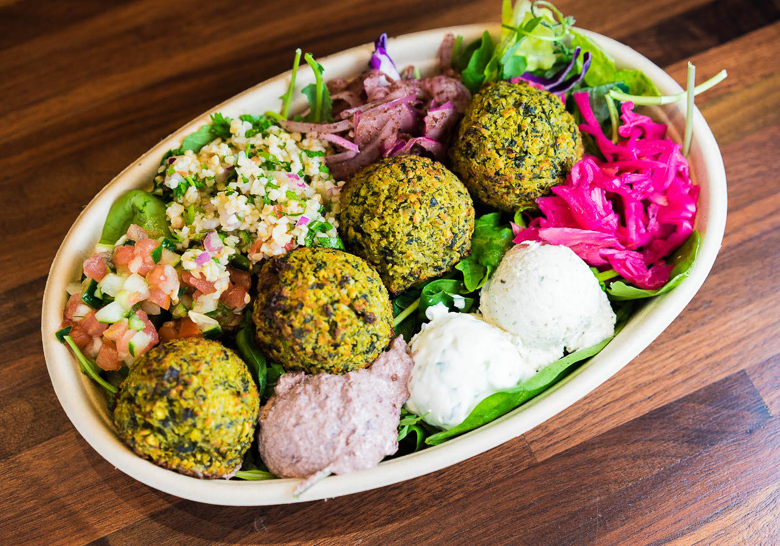 We want to make sure that we bring our healthy Mediterranean cooking to you. The one we grew up with and the one that we crave on a daily basis. Zuuk serves high-quality and affordable food in a modern fast-casual setting. The restaurant offers customers the ability to fully customize their own roll, bowl, or salad in a Mediterranean style. This newer concept offers a wide variety of choices from fresh greens, to grains, proteins and veggies artfully curated by Sam Gorenstein, our Executive Chef. Each combination of flavors is a mouth-watering masterpiece.